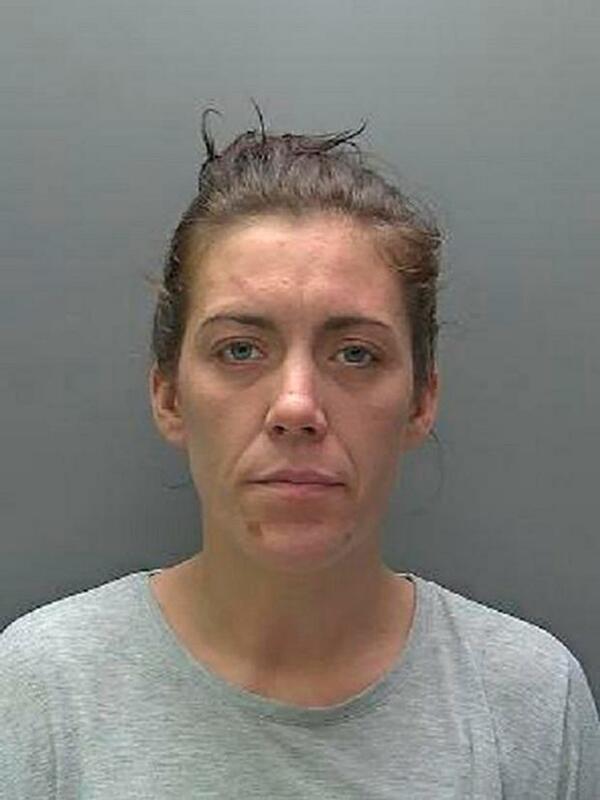 Lucy Turner who was sentenced to 38 months in prison and banned from driving for four-and-a-half years after she broke a Tesco worker's back when she drove into her in a bid to escape after trying to steal from the supermarket. A woman who broke a Tesco worker's back when she drove into her in a bid to escape after trying to steal from the supermarket has been jailed. Lucy Turner, 32, was sentenced to 38 months in prison and banned from driving for four-and-a-half years after pleading guilty to causing serious injury by dangerous driving at St Albans Magistrates' Court in Hertfordshire, England. "As a result, an innocent person who was among those trying to stop her getting away suffered serious injuries; injuries from which she has still not recovered."